A few months back we gave a tour to some folks from USANA Health Sciences, a nutritional supplements company that has partnered with the Linus Pauling Institute on a number of initiatives over the years. One of our guests brought along a video camera to document the tour. Here is his perspective on what it’s like to wander through our back stacks. The video was first published with this post on the blog What’s Up, USANA?, which has written on Pauling and the LPI many times before. The Special Collections & Archives Research Center staff. (minus Ruth) November 2011. Last Friday night a group assembled in the fourth floor rotunda of the Valley Library to celebrate the convergence of two anniversaries: the University Archives turns 50 in 2011, while Special Collections celebrates its 25th birthday. The University Archives was established in 1961 as a component of what was then called the Kerr Library. The department was originally located in Gill Coliseum – home to Beaver basketball, among other sports – before moving to the old library location in Kidder Hall. The first University Archivist was Harriet Moore and her charge was to gather materials of consequence to the history of the institution – variously known as Oregon Agricultural College, Oregon State Agricultural College, Oregon State College and, finally, Oregon State University. These days, one of the University Archives’ most frequently used photograph collections is “Harriet’s Collection,” a set of some 30,000 images that Moore assembled herself. In 1966 Harriet Moore retired. Her replacement, William Schmidt, established a records management program within the department, one of the first such programs at any university nationwide. In 1972 the University Archives moved again, both physically and organizationally, to the university’s main administration building (in the basement, of course). The Archives were now part of the Office of Budgets and Planning, and the staff spent a great deal of their time microfilming historic records and administering personnel files. 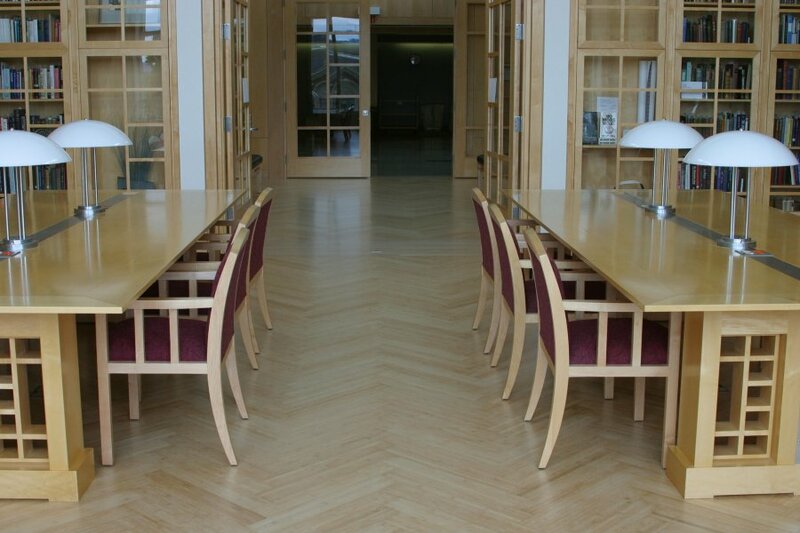 Organizationally, the Archives returned home to the library in the year 2000, making the physical move out of the basement and to the third floor of the Valley Library in 2003. Ever since, the department has focused more and more on acquiring manuscript collections and creating a robust digital presence. Along with the history of the university, two of the Archives’ primary collecting foci are natural resources and multiculturalism in the Pacific Northwest. 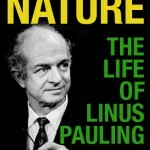 As many readers of this blog know, Special Collections at Oregon State University Libraries was created in 1986 with Linus Pauling’s donation of his and his wife’s papers to their undergraduate alma mater. Under the leadership of it’s first head, Cliff Mead, the department spent the better part of a decade arranging and describing the massive Pauling collection and, in the years since, digitizing components of the collection for consumption on the web. Using the Pauling Papers as a cornerstone, the department has collected actively in the history of science and technology. It is also the university’s repository for rare and fine books. And at least once every week since early March 2008, Special Collections has been publishing this blog. The merger…will continue over the next several months, with a goal to ‘create one public service point from which all collections within the new department will be made available to the onsite researchers’… The merger will, among other advantages, eliminate the need for researchers to visit separate reading rooms. Long term, OSU Libraries plans to consolidate the storage, office, and work space, and create a separate classroom space for the new department… Goals for the remainder of 2011 include combining workflows for collections processing, digital collections creation, and instruction and outreach, using teams made up of staff from both previous departments. Indeed, these are exciting times for us all, but a lot of work lies ahead. For now though, the blog is in a reflective mood. In that spirit, please enjoy the photographs below, a sampling of the people, places and events that defined two successful departments for a combined 75 years. University Librarian Faye Chadwell speaking at the joint anniversary event, November 2011. Trevor shows a tour group The Gradual, a 15th century liturgical text, October 2011. Balz Frei, head of the Linus Pauling Institute, posing in the Pauling office permanent display. October 2010. Setting up the ‘Common Ground’ Flickr Commons slideshow on the face of Kidder Hall, home of the first university library. October 2009. Tiah leads the ‘Haunting for History’ tour on the OSU campus, October 2008. Little Lucia Frumkin holds a Nobel Prize, August 2007. Moving sets of The Pauling Catalogue into Special Collections, November 2006. Mary Washington and her husband Warren, a renowned climate scientist, in the Special Collections reading room, June 2006. Karyle Butcher, Emeritus University Librarian, in the Special Collections reading room, November 2005. Emeritus Head of Special Collections Cliff Mead with Mary Steckel at the Pauling traveling exhibit opening in Tokyo, Japan, 2004. John Fenn, 2002 Nobel chemistry laureate, visiting the Special Collections stacks, October 2004. The University Archives reading room on the third floor of the Valley Library. Student assistants helping move the University Archives records to the Valley Library, 2003. Super Karl helping move the University Archives records to the Valley Library, 2003. A Special Collections student holding a piece of the original Watson & Crick DNA model in the Special Collections display foyer, January 2003. The University Archives reading room in the basement of Kerr Administration Building, 2002. Opening Linus Pauling’s personal safe. To the right is Cliff Mead, Emeritus Head of Special Collections. Ca. 1996. Student employees working in the original Special Collections reading room, ca. 1996. Lawrence A. Landis in 1995. Larry has served as University Archivist since 1996 and is now the Director of the Special Collections & Archives Research Center. Another view of the mink laboratory disaster recovery. Conducting disaster recovery at an OSU mink research laboratory that was vandalized in June 1991. Student workers in the original Special Collections reading room, ca. late 1980s. Archives staff member Anne Merydith-Wolf in the basement store room, Administration Building, ca. 1980. Linus and Ava Helen Pauling in the University Archives reading room, May 1980. A University Archives student microfilming records, ca. 1970s. Transcribing an oral history interview with a typewriter (! ), ca. 1979. An early example of moveable shelving in the University Archives, ca. 1979. Students processing a collection, ca. 1979. University Archivist Rolf Swensen and staff member Anne Merydith-Wolf working in the basement of the Administration Building, ca. 1979. Sally Wilson on her birthday, 1977. University Archivist Sally Wilson working at a microfilm cabinet, ca. 1974. William F. Schmidt, the second University Archivist, with two students, 1966. Harriet Moore, the first University Archivist, holding a historic copy of the student newspaper, 1965. University President George Peavy, seated in the McDonald Room, 1934. Lucy M. Lewis assisting a patron in the McDonald Room,1934. Lewis was University Librarian from 1920-1945. During her tenure the library, among other advancements, made the switch from Dewey Decimal classification to the Library of Congress schema. Readers in the McDonald Rare Books Room, predecessor to Special Collections, 1934. Today marks the ten-year anniversary of the dedication of the Valley Library, home of the Oregon State University Libraries Special Collections. A strong case could be made, however, that no department within the library was as radically-impacted by the expansion than was Special Collections. The initial Special Collections facility, created as a temporary location in the months following Linus Pauling’s donation of his papers in 1986, was essentially carved out of a pre-existing storage area – the reading room, office (there was only one, for a staff of three) and collections storage shelving were crammed into a space of perhaps 2,000 square feet. The area was alarmed and temperature controlled, but much too small to hold the 4,400 linear foot Pauling Papers, parts of which resided in an off-campus warehouse for about three years. 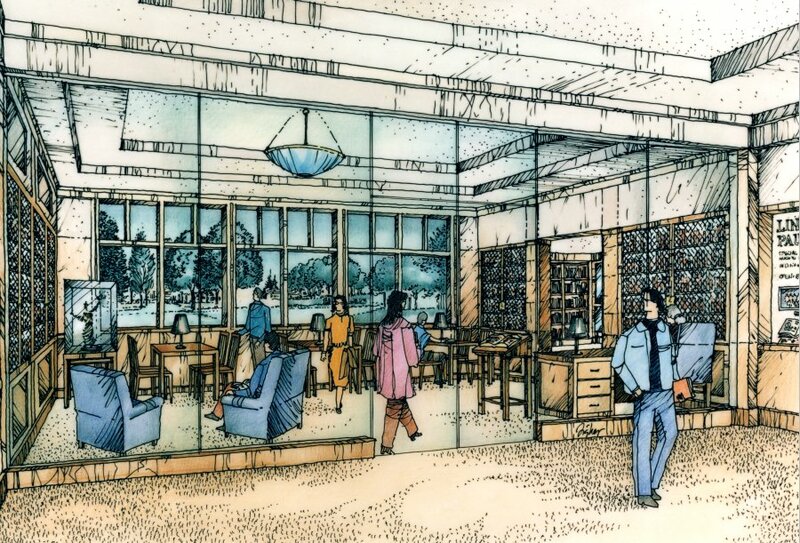 A glimpse of the original Special Collections space can be seen in the short first clip included below, as extracted from a 1994 development video produced for the library expansion marketing campaign. Notice in particular the computers and scanner contemporary to the era. We’re pleased to note that the general thrust of the second clip has been, and continues to be, more or less fulfilled. At this point, tens of thousands of pages of content from the Pauling archive have been digitized and are freely-available on the web. That said, the world’s schoolchildren are not, at this point, able to read our letters from Niels Bohr to Pauling, though that’s solely due to copyright restrictions, rather than technical infrastructure. In terms of physical infrastructure, the change from the original Special Collections facility to our current environment could not be more pronounced. As with the first space, our permanent home is secure and temperature controlled, but now we have a great deal of room at our disposal to store our collections and conduct our work. Included in this space is a grand foyer which hosts a rotating display and has served as the location for numerous university events. 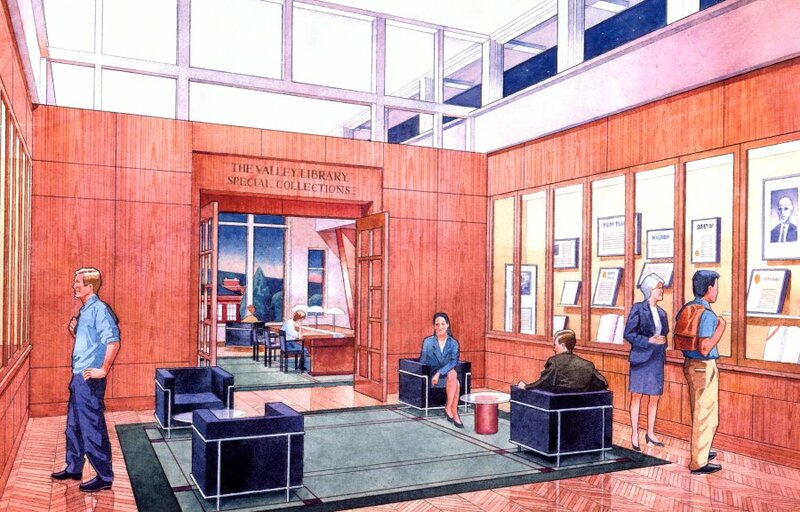 Initial artist's conception for the Special Collections display foyer. Final display foyer artist's conception. Special Collections display foyer, east end. Likewise, in ten-plus years our reading room has hosted the research of thousands of scholars, from Nobel laureates to honors chemistry undergraduates to enthusiastic visitors from Linus Pauling Middle School. 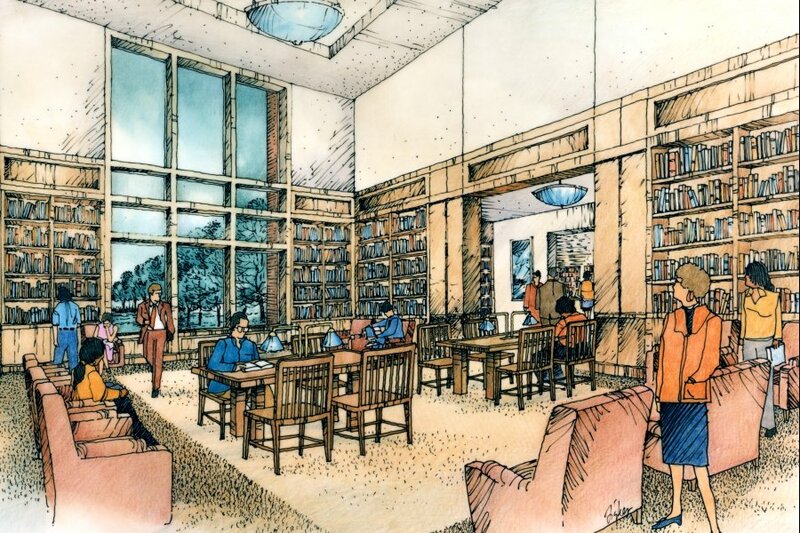 Initial artist's conception for the Special Collections reading room. As it turns out, we have yet to see our first comet. But the fifth-floor view is indeed terrific. 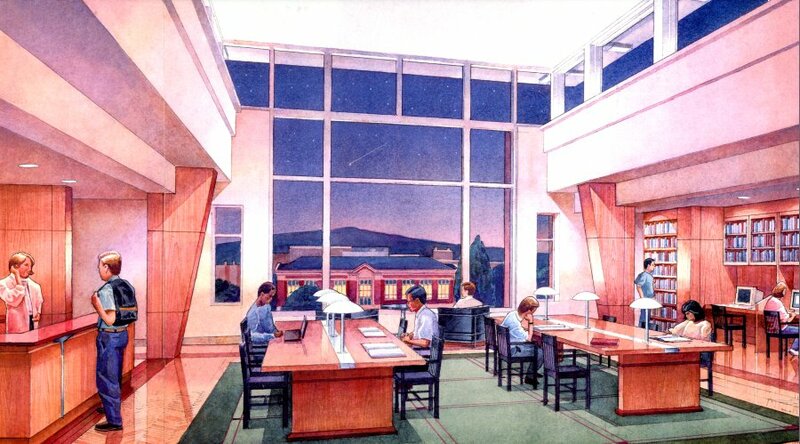 Final reading room artist's conception. Facilities issues are a huge problem for so many archives and special collections – too often, in leaky basements, overheated lofts and spaces infiltrated by pests, our colleagues around the world are forced to make grim decisions about what to preserve and what to expose to a wide swath of imperfect elements. Fortunately, thanks to the thousands of supporters who worked so hard to create the Valley Library, we are able to store our collections securely and in optimal conditions, thus freeing-up most of our resources to providing ever-greater access to the unique treasures secured behind our walls. For those interested in a closer look at our facilities, please see this behind-the-scenes video tour, led by Head of Special Collections Cliff Mead. Likewise, an account of the Valley Library dedication ceremonies, as they happened in May 1999, is available in the Winter 1999 issue of The Messenger. Finally, our colleagues in the University Archives have released a terrific (and growing) set of images on Flickr commemorating the library’s anniversary. A seven-part virtual tour of the Oregon State University Libraries Special Collections is now available on the PaulingBlog. The videos, which were originally shot for use by Terra Magazine, are hosted by Cliff Mead, Head of Special Collections. 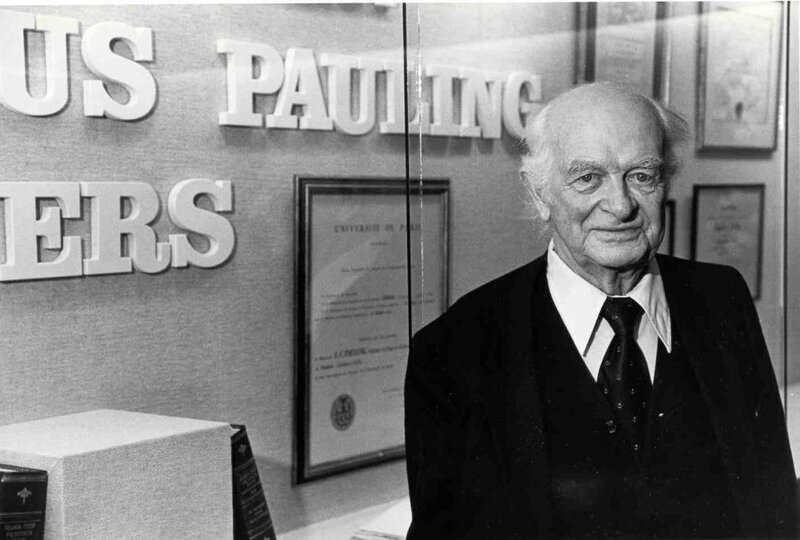 Viewers of the tour will receive fascinating insight into Dr. Linus Pauling and his legacy, and can look forward to up-close glimpses of the Pauling office, Pauling’s personal safe, his huge collection of correspondence and his remarkable array of molecular models. Click the “Read More” link below to go behind the scenes of our facility and to learn more about the types of work that we do. With the death of Google Video, so too did these videos disappear as originally presented. Never fear though – the content is available for viewing via OSU Mediaspace. We’ve recently added Gustav Holmberg’s blog, Imaginary Magnitude, to our blogroll. This sleek, no nonsense weblog is focused on the history of science. Holmberg himself is a historian of science at the Research Policy Institute in Sweden. He’s been in the blogging game since 2003 and the Imaginary Magnitude archives are filled with interesting little gems including a number of discussions on his papers and projects. Take some time to check out Imaginary Magnitude and we’re sure you’ll find more than a few items to attract your attention. Have a look to the right. If you’ll please turn your attentions to the right side of this page, you’ll note the long-awaited addition of three new links to our blogroll. Each represents a fantastic resource that, we’re quite sure, will make for some interesting reading. The Culture of Chemistry is run by Michelle Francl, a chemistry professor at Bryn Mawr College. Naturally curious about the world around her, she uses everyday experiences to explore the chemistry behind modern living. Francl also maintains a Weird Words of Science series that discusses the history and uses of scientific words. Her main focus is chemistry learning, both in and out of the classroom. Whether you’re interested in chemistry education, or simply want a nifty science fact to impress your friends, we highly recommend a trip to this blog. 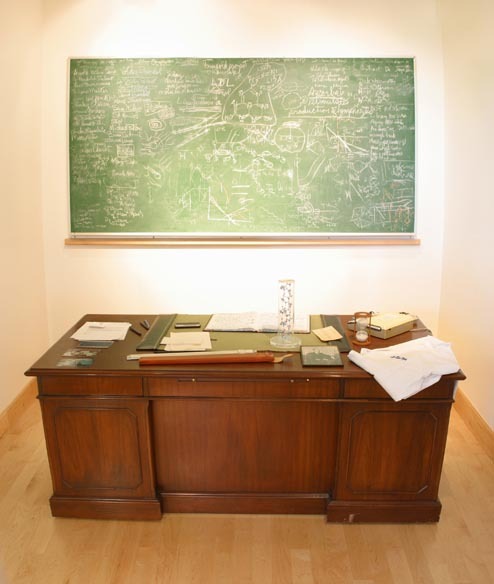 Entropy Bound, is operated by Peter Steinberg, a nuclear physicist in New York. He uses his blog to discuss a variety of physics-related topics including, but not limited to, aspects of his own work. While certain components of this site may be a little on the technical side for some readers, anyone with an interest in physics is sure to find plenty of engaging tidbits. If you’re interested in his work, make sure to check out the lecture slide PDFs that Peter has made available. Lynne Thomas, Head Curator of Special Collections at Northern Illinois University, has developed Confessions of a Curator, a window into the archival milieu. Thomas regularly posts on the various collections housed at NIU and the ways in which her team is handling its records. She also reports on events, talks, and news relating to the profession. Her site is a terrific asset for anybody interested the exciting world (really!) of archives and special collections. Because our posts cover a variety of fields, we have now implemented a new blogroll breakdown, dividing our links sections into Chemistry, Physics, Archives & Special Collections, and History of Science. Links to plenty more great sites will be added in the weeks to come. As always, we’d love to hear from our readers. If there’s a Pauling-related topic about which you would like to learn more, please do let us know. Likewise, if you feel that your project fits in well with the theme of The Pauling Blog and would like to be included on our blogroll, shoot us an email with a link to your site. We can be reached at special[dot]collections[at]oregonstate[dot]edu. Finally, a special note of thanks to our OSU Libraries colleague Margaret over at infodoodads for her kind review of our work. Margaret, your next bottle of vitamin C is on us! – Lee Sherman. “Like Looking Over His Shoulder,” Terra Magazine. June 2008. We are pleased to announce that the Ava Helen and Linus Pauling Papers are featured in the Summer issue of Terra Magazine, a multimedia publication which focuses upon research conducted at Oregon State University. As part of the feature, Terra filmed a behind-the-scenes tour of the Special Collections facility, as led by department head, Cliff Mead. 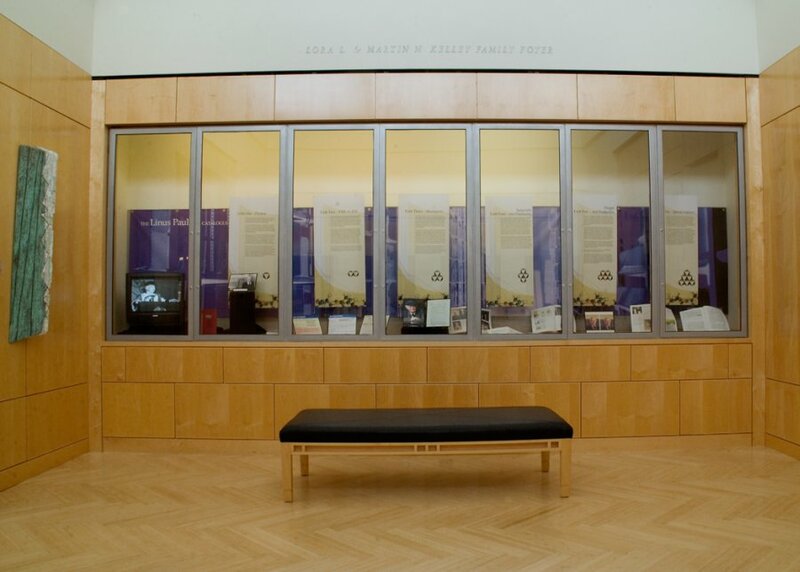 The tour, broken down into seven brief sections, touches upon the history of the collection, the various items that make up the Pauling archives, and the work that goes on in our department. The tour videos accompany an article, written by Lee Sherman, that further describes the collection, featuring interviews with leading Pauling biographer Tom Hager and OSU historians of science Dr. Paul Farber and Dr. Mary Jo Nye. In addition to the video tour and the article, the Pauling feature includes a variety of images, free downloadable wallpapers, (for computers and for iPods!) and links to other Pauling-related sites. A short timeline of Pauling’s life and a sidebar on Pauling’s correspondence are also part of the package. We encourage all of our readers to check out the Terra website and learn a little more about us. “Like Looking Over His Shoulder,” the Terra special, can be found here. For additional information, please visit the OSU Libraries Special Collections homepage.